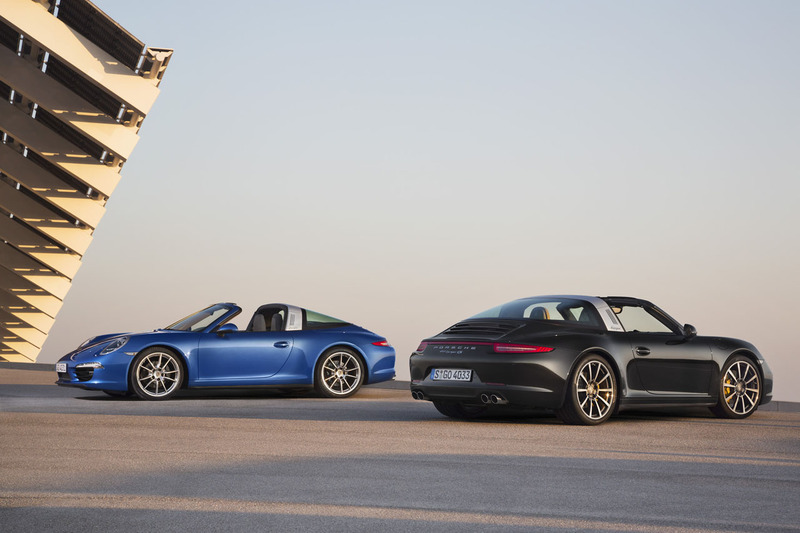 911 lineup: the 911 Targa 4 and 911 Targa 4S. 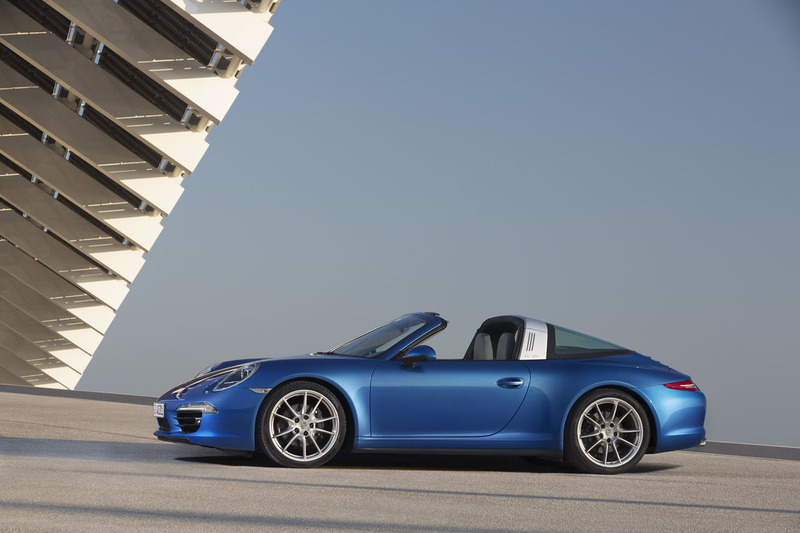 Unlike the so-called Targa models of 1994-2012, which featured a sliding glass roof and were visually almost indistinguishable from the hardtop models except for redesigned C-pillars and rear quarter glass, the new Targa models represent a faithful stylistic throwback to the classic Targa design introduced in 1967 and last seen on the 1988 3.2 Carrera series. 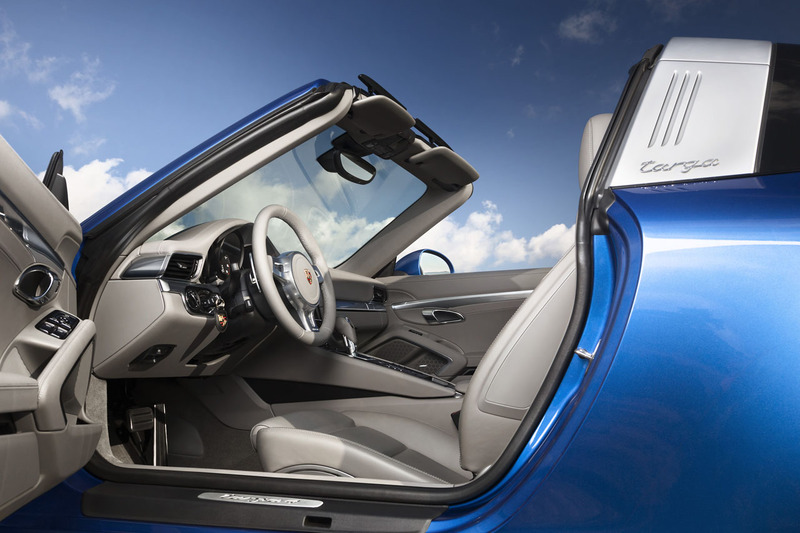 it all work is a pair of opening flaps at the upper corners of the Targa bar, which allow the arms carrying the roof panel to "hide" once the roof is in place. When the roof is opening or closing, the entire rear window panel lifts upwards and rearwards, the Targa bar flaps open and the roof panel is moved to the open or closed position as appropriate. 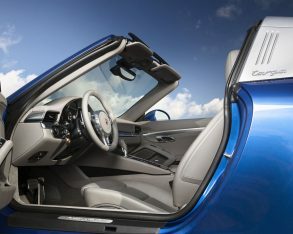 It’s all very tidy and impressive, though certainly a whole lot more complicated and heavy than the Targa tops of yore. 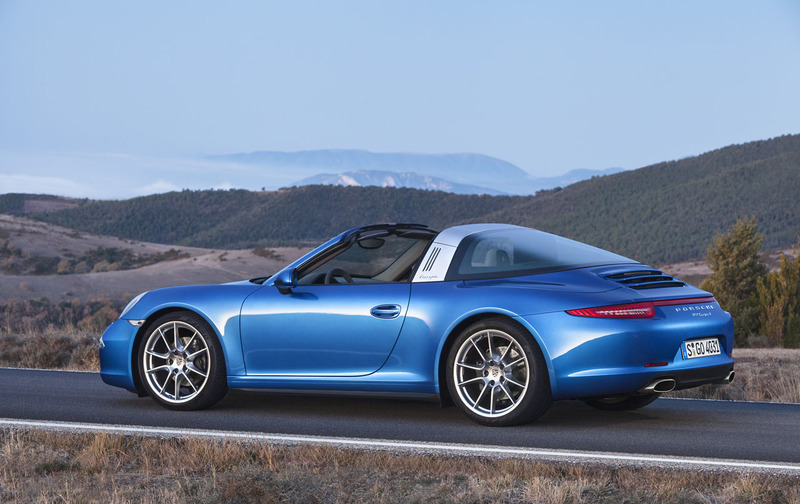 Both new 911 Targa models come exclusively in all-wheel drive, featuring the wider rear track and body found in every all-wheel-drive 911 model. 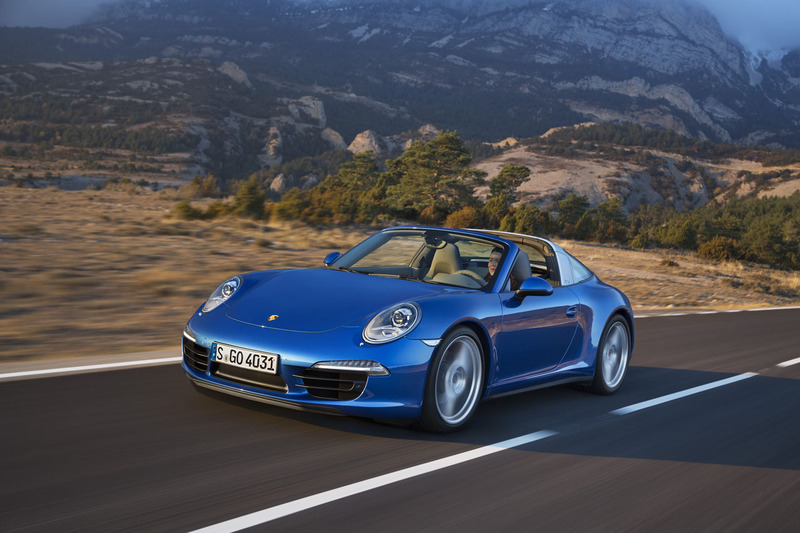 The all-wheel drive system uses Porsche Traction Management (PTM) to help ensure optimal distribution of drive power for the best possible traction in most road scenarios, whether on long straights, through tight corners, or on surfaces with different friction coefficients. 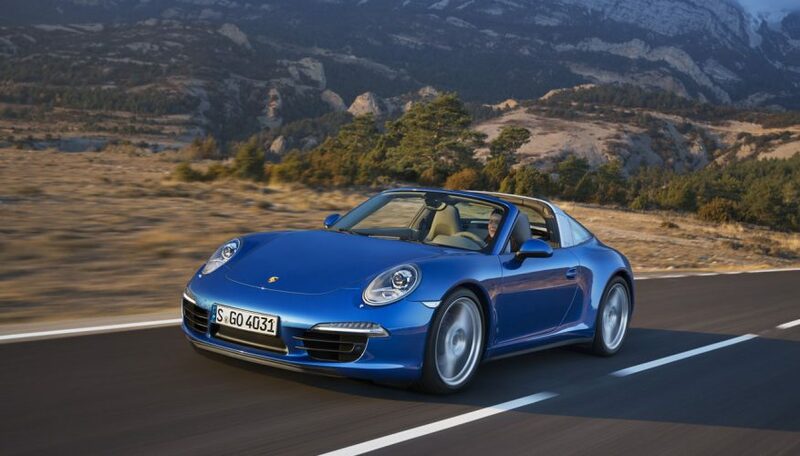 911 Targa 4 is powered by a horizontally opposed 3.4-litre six-cylinder engine that generates 350 horsepower. 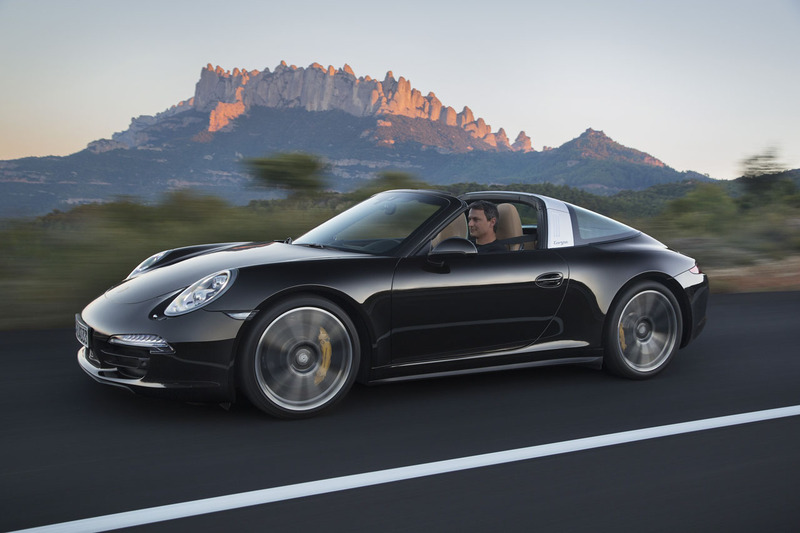 Equipped with the optional Porsche Doppelkupplung (PDK) transmission and Sport Chrono package, it will scoot from 0-100 km/h in 4.8 seconds before hitting a top track speed of 280 km/h (282 km/h with the manual transmission). 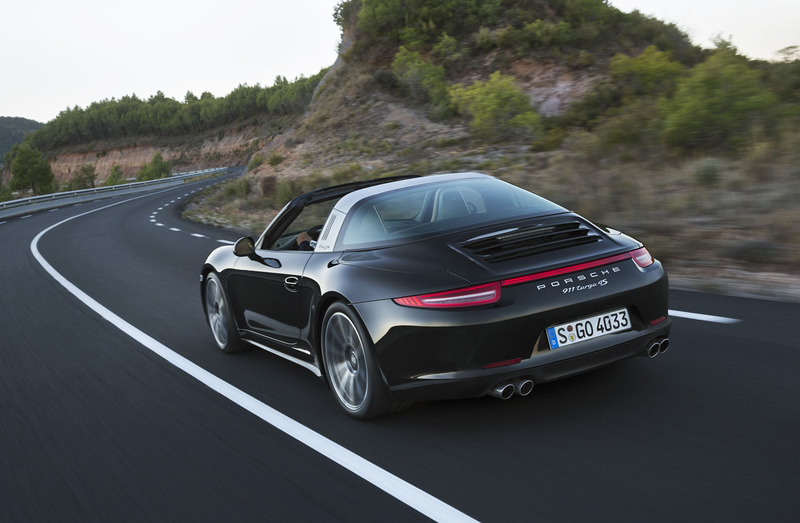 The 911 Targa 4S delivers 400 hp from its 3.8-litre horizontally opposed six-cylinder engine, rocketing from 0-100 km/h in 4.4 seconds when equipped with the optional PDK and Sport Chrono package, and hitting a top track speed of 293 km/h (295 km/h when equipped with a manual transmission). 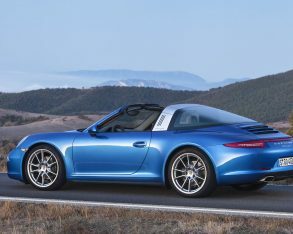 Canadian pricing wasn’t yet announced at press time, but in the U.S. the 911 Targa 4 will have an MSRP of US$101,600 while the 911 Targa 4S model will have an MSRP of US$116,200. 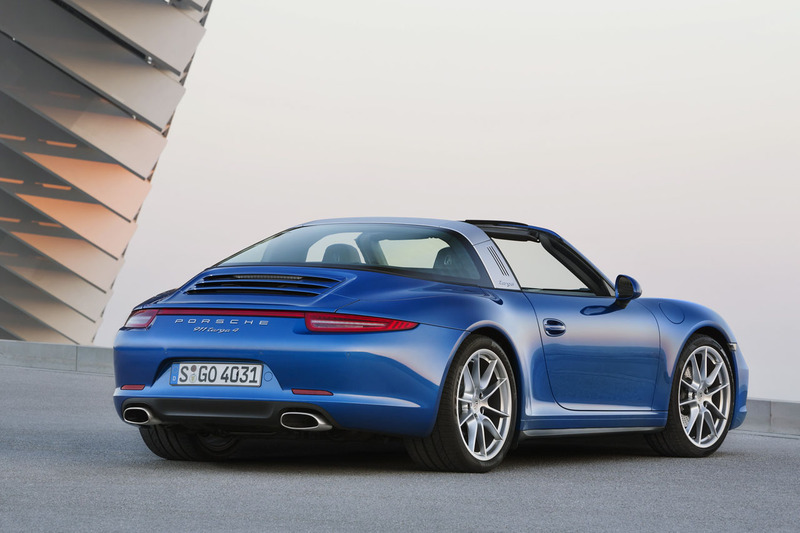 The Targa 4 and Targa 4S are expected in North American showrooms starting this summer.